Nostradamus Predictions: A Royal Price is Assassinated. Nostradamus and I, psychic John Le Sainte, now share two more New psychic visions for the Future. I have written over One Thousand 1,000 new Quatrains with the Guidance of the Soul and Spirit of Michel Nostradamus. Please read my entire blog from the very first posting until today for a complete history of my life since first being contacted by Nostradamus in 2003. The Prophetic Psychic Vision of the fourth Quatrain of Century One is fully explained below. Nova orders given to those devoted. Places from Earth unjustly smoted. Waiting in the Shadow cold. 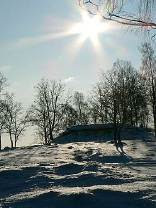 Note: The psychic vision began with bright streaks of White and Gold with the appearance of golden afternoon sun rays on fresh snow. Obviously a Beautiful Mountain with a wide ski run. The son mentioned is Skiing with two other men. The other men seem to be bodyguards as they are dressed differently than the prince. They fly over a very fresh coating of powdery snow, In hiding, a lone assassin in a dark shadow in a clump of pine trees. The assassin's breath showing clearly from the darkness. I was specifically instructed by Michel to change this quatrain to use a lowercase "s" in the word "son" as I originally wrote a capital "S". The prince and one bodyguard are hit and fall. An anxious world waits for news. I have not seen if he lives or dies. The prince should NOT have been dressed differently from the guards to make an easy target for an assassin. Perhaps this in depth description will change this future. Please keep an open mind. Since Nostradamus began to appear to me in my sleep, I have filled notebooks with the psychic visions we have shared. I will post a few more each day. Nostradamus has shared many thousands of visions of the future over the past 5 years. I am sharing all of these here with my readers. These are some others that you should definitely read. Nostradamus Predictions for Seattle Washington, United States Earthquake and Volcano Explosion. Nostradamus Predictions of Earthquakes in New York City, NYC, as Shown to psychic John Le Sainte. Great detail of these New York City NYC Earthquakes is given and fully explained and interpreted. Please look here, Nostradamus Predictions New York City NYC Earthquakes By John Le Sainte. I clearly Identify the Bridge that will fail in the Earthquake and Pray to God that someone can fix or reinforce it in time. If anyone reads this in New York City area, Please look to see if a bridge matching this description is there at 125th street. Even More Frightening than the New York City Earthquake Disaster, will be the Nuclear Explosion in the center of the Atlantic Ocean. Nostradamus Predicts the World Nuclear Attack By Terrorists In this very clear and carefully explained psychic vision, I, John Le Sainte describe in astonding detail a future terrorist plot to detonate a Nuclear Weapon in the middle of the Atlantic Ocean to create a Huge Tsunami to cause damage to North America And Europe. The detail is so exact that I could see the name of the ship that carries the nuclear weapon and describe the actual flag. If you don't read another one of my Nostradamus Pyschic Prophecies, Please Read this one! Nostradamus Predictions include the True Meaning of 666 and the coming World War 3, Nostradamus Predictions are very well explained and interpreted by me, John Le Sainte, after the Soul and Spirit of Nostradamus Guided me into the future to actually witness the events. 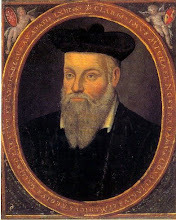 Also, My Blog has MANY Personal and Secret stories of Nostradamus' Biography, his Life in Sixteenth Century France as a Writer and a Doctor. Nostradamus has revealed MANY of his secrets of Prophecy to me, John Le Sainte, Since I first started having these nightime dream visitations and dreams of Nostradamus, I spend much of my waking time writing down the details of my nightly psychic journeies into the future. To read the entire story, please follow the link here, Nostradamus began to appear to me, John Le Sainte, in December of 2003, the 500th anniversary of his birth. He explains that I am the sole Heir on Earth to his gift of Prediction, Prophecy and Astrology.